© UC Santa Cruz. Currents Newspaper is a weekly publication from the UC Santa Cruz Public Information Office. The following obituary was submitted to Currents on behalf of the family of Theodore R. Sarbin. Theodore R. Sarbin, professor emeritus of psychology and criminology at the University of California, Santa Cruz, died at his home in Carmel on August 31 after a brief illness. As recently as August 18-21, Sarbin participated in the annual convention of the American Psychological Association (APA). At the convention, he was honored by a new award in his name that will be presented annually by the Society for Theoretical and Philosophical Psychology to a psychologist whose contributions reflect the themes and spirit of Sarbin’s life work. At a celebratory dinner in his honor, Sarbin personally presented the first award to Jefferson Singer, professor of psychology at Connecticut College. Sarbin was born on May 8, 1911, in Cleveland, Ohio. He attended Ohio State University as an undergraduate and later obtained a master's degree from Case Western Reserve University. He received a Ph.D. in psychology from Ohio State University in 1941. His dissertation research, using data gathered at the University of Minnesota, examined the relative accuracy of statistical vs. clinical prediction for the academic achievement of undergraduates. Earlier, he had collaborated on research on the measurement of hypnotic depth. In both of these areas of research, he was a pioneer--setting in place questions for research that have been the object of inquiry for hundreds of subsequent studies by psychologists. Sarbin began his career as a research-oriented clinical psychologist, practicing first in Illinois and later in Los Angeles. His academic career was established at the University of California, Berkeley, where he served on the faculty from 1949 to 1969. 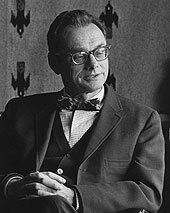 During his time at Berkeley, he supervised more doctoral students than anyone else in his department, even while he continued to develop his own lines of research on problems in social psychology, with special application to problems in the domain of psychopathology. Because of his publications in the area, he came to be known as “Mr. Role Theory,” defending the unorthodox position that problems conventionally thought of as “mental illness” could better be construed as moral judgments rendered by those in a position of social power about individuals whose conduct is unwanted or perceived as dangerous. While gentle and controlled in manner, Sarbin continued to challenge orthodox views in psychology throughout his professional life. He offered interpretations of hypnosis that avoided the necessity of positing a special mental state, viewing hypnotic behavior in terms of a person’s ability to take the role of the hypnotic subject. Likewise, such concepts as hallucinations, anxiety, and schizophrenia were subject to Sarbin’s relentless efforts to "demythologize" psychology. Sarbin left Berkeley in 1969 to join the UCSC faculty, where he remained until his retirement in 1976. As an emeritus professor, he continued to present courses at Santa Cruz for many years, and for a year was faculty assistant to the academic vice chancellor. In addition, he served for varying periods on the faculty at the Naval Postgraduate School in Monterey. In 1987, he became a research psychologist for the Defense Personnel Security Research and Education Center (PERSEREC), a program of the U.S. Navy. He continued to work at PERSEREC until two months ago. In the course of his academic career, Sarbin received scores of honors, including both Fulbright and Guggenheim fellowships. He was a research scholar at Nuffield College of Oxford University in 1963. He was a fellow at the Center for Advanced Study at Wesleyan University in 1968-69 and returned there for another period in 1975. He received the Morton Prince Award from the Society for Clinical and Experimental Hypnosis and the Henry Murray Award from the American Psychological Association. He was recognized with a lifetime achievement award from the Western Psychological Association in 2001. Included among his more than 250 professional publications are six books and another six edited volumes. Over the past 20 years, Sarbin concentrated on developing and promoting the practice of narrative psychology, departing from the narrow research methodologies of traditional psychology in favor of a method based on the primacy of story and dramatic unfolding as a way of understanding human experience. Here again, Sarbin was recognized as a pioneer in psychology, much as he was for his dissertation research done more than 65 years ago. Sarbin has a devoted following of former students and colleagues. He established the custom 40 years ago of hosting a dinner where he would present an award, “The Role Theorist of the Year,” to a former student or colleague whom he deemed worthy of the honor. He presided over these occasions with grace and considerable wit. His memory was prodigious. He had the custom, exercised again with the 62 guests at his final banquet on August 19, to go around the room and say something about each of those present. He was much admired as a scholar of rare intellect. But he was also loved as a person of wisdom, compassion, warm gentility, and disarming humor. Sarbin was legendary for his dedication to his many former graduate students and colleagues with whom he continued to write and carry out research and other projects at a steady pace until his death. One of his original theoretical papers was accepted for publication in Theory and Psychology, a highly respected journal, one day prior to his death. When notified of the paper’s acceptance, he said, “That’s nice. More to come.” Although he was suffering from cancer, he continued to work on his final book the day before he died. Few scholars--psychologists or otherwise--have been publishing continuously to such acclaim across seven decades. Despite his prolific academic accomplishments, Sarbin received wider attention for a 1988 report that challenged U.S. military policies about homosexuals. The study, “Gays in Uniform,” demonstrated that there was no proof that homosexuals posed greater security risks than heterosexuals and no scientific evidence that homosexual soldiers would disrupt military life. This summer, Sarbin was diagnosed with advanced pancreatic cancer. The son of Samuel and Anna Sarbin, Sarbin is survived by his sister, Ruth Landy, of Beachwood, Ohio. His wife, Genevieve Sarbin, died in 1998. They married in 1948 in Los Angeles. Four siblings predeceased him: Mollie Gerring, Jacob Sarbin, Eugene Sarbin, and Miriam Baum. He is also survived by his partner Karin Sobeck; three sons: James Allen, Ronald Allen, and Theodore Sarbin Jr.; four grandchildren: Matthew Allen, Chelsea Allen, Park Allen, and Link Allen; two great-grandchildren: MacKenzie Allen and Delaney Allen; and numerous people who loved him dearly for his professional contributions, utter decency, kind care, and warm friendship. A memorial service will be held Saturday, October 1, from 1 to 5 p.m. at Monterey Peninsula College Library. Memorial donations can be made to the Ted Sarbin Research and Scholarship Fund to support ongoing research in social psychology at P.O. Box 222524, Carmel, CA 93922.